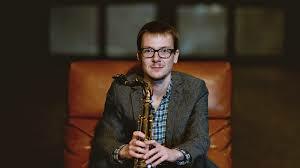 Congratulations to saxophonist and LCoM alumnus Matt Anderson who was this week announced as one of the winners of the 2017 Dankworth Awards. Anderson's piece 'Jig, Jag, Jug' received the prize for Small Ensemble, with Matt Sulzmann's 'Castle View' named as runner up. In the Big Band category, Jacky Naylor won with 'Bilbao' and James Brady came runner up with his piece, 'Hermeto's Hideaway'. Also announced was the 2017 Eddie Harvey Arrangers Award, which this year goes to Tom Green for 'Badger Cam' and Jacky Naylor received the runner up position for 'Stockholm'. The awards evening is produced by GSMD in partnership with the Worshipful Company of Musicians. The Dankworth Awards awards will be presented by members of the Dankworth Family. Congratulations to Matt and all the other winners!